Every man regardless of their age, social and economic status; all face the same pressing issues like how to be a successful provider, leader, husband, father and role model. These issues have not change since our forefathers and our sons will face them as well. Axis Men is the name of the men’s ministry of Axis Church. The Name comes from the Acronym of Relating, Empowering, Affirming and Loving. We as Axis Men need to show through our actions that we comprehend ”Axis Men” love in the way we Relate with God and each other. Empower and Affirm each other; our families, fellow man. We built and leave behind a lasting Legacy. Our men’s bible studies meetings are every Saturday at the “3080 Room” at 8:30 AM. Check the weekly calendar for updates. Life Transformation Events – such as conferences & retreats. Gathering every Tuesday night at 7:00 pm, in the main sanctuary, we meet in agreement to pray on a specific need within the body of Christ– whether it be for Marriages, Health, Finances etc. We celebrate, as a communtiy, the National Day of Prayer held in May of each year. Our church hosts several other Assemblies in crying out to the Lord on behalf of our country, it’s leaders and the lost. There is power in prayer and no better way to touch the heart of God. Royal Rangers is designed to meet the spiritual, mental,physical and social needs of boys and young men ages five through 17. We do this through a variety of activities: weekly meetings, camp-outs, field trips, training camps, hikes, and so forth. The boys are taught Biblical principles through Bible studies and devotions, as well as through the example of godly leaders called Commanders. The Royal Ranger program at Axis Church meets Friday evenings at the 3080 Room at 7:00 PM. The boys meet together as a group called an “outpost”. The outpost is further divided into 5 age groups to better meet the different needs of the boys. Royal Rangers gives boys a chance to grow in the knowledge of our Lord Jesus Christ through adventure and discovery. It also gives them a chance to make new friends. Above all, it is our prayer that the boys will come to accept Jesus Christ as their Lord and Savior and begin a personal relationship with Him. We want to grow Godly men. Girls Ministries is a ministry of the local church to introduce girls to Jesus Christ and to train them to follow Him. It is a place for girls to gather with other girls who love God, and be mentored by a sponsor who cares about them.The Missionettes program at Axis Church meets Friday evening at the main Church building at 7:00 PM.The girls meet together as a group. The group is further divided into 6 age groups to better meet the different needs of the girls. Missionettes is a nationwide program involving over 174,000 girls and 20,000 clubs. “… Axis Church Missionary Department endeavors to be God’s hand and feet not internationally but also in the USA.” Mission’s meetings are held periodically, on the upper level of the church, to cultivate strategies and enhance the development of the department on a broader scale. Helping meet the needs of under privileged children, Axis Church sent it’s missionary team to the Island of Jamaica. The team arrived with much needed schools supplies and clothing. Also, the word of God was shared through short skits and music, bringing love, compassion and hope. Hit by one of the most devastating hurricanes (Katrina) in American history many residents of Biloxi, Mississippi face a tough road to rebuilding. However, they were not alone. Axis Church responded by sending three diffrent teams to Biloxi to assist in the rebuilding of not only homes but lives. Nursery services are available during both Sunday services as well as Wednesday evenings Bible study. Our church nursery is located in the main foyer and is equipped with audio system and a large window for viewing Sunday service.It also offers a private nursing room. The nursery provides a safe and nurturing environment for children from birth through 36 months of age, allowing parents to feel confident their children are well cared for so they may participate and enjoy services. “…There will always be floors and windows to wash, furniture to polish and carpets to vacuum.” As a “behind the scenes” ministry the Beautification team is responsible for the task of keeping God’s house clean for the honor of the leaders, congregants, visitors and most of all for the glory of God. Going to church is a luxury at times, taken for granted. What most perceive as a simple endeavor, may be a difficult task for children with special needs and their families. Who will be able to teach my child? What will happen if my child gets upset or overwhelmed? As a parent, can I sit in a church service without worrying about my child? The Sonlight Journey program at Axis Church provides children with special needs the opportunity to attend church and learn about God. Parents of children with special needs will also have the opportunity to attend a church service with ease knowing that their child is in a safe environment. The Sonlight Journey program has trained volunteers to meet each childs learning style. A variety of teaching techniques including ABA principles and Positive Behavioral Support classroom strategies are used.  Axis Church is a church committed to providing children with special needs the opportunity to build a biblical relationship with JESUS CHRIST by using a variety of teaching techniques that will best meet their learning style. 1. Each child will have the opportunity to learn and build a relationship with Jesus. 2. Help each child discover and develop their gifts and talents, which can be used within the church and in their community. 3. Integrate children with special needs within the church setting to the bestof their abilities. 4. Increasing fellowship with other children in the church. Sonlight Journey will serve children ages 3-12. Families that are interested can register their child by filling out a registration form. For more information, please contact the church office. * Space is limited / First come, first serve basis. At AXIS KIDS Ministry it is our desire to make an impact that lasts for an eternity in the heart and life of a child. In partnership with you, we are passionate about training your children in the ways of the Lord as God’s Word has commanded us. AXIS KIDS is all about kidz growing in God while having fun doing it. We have Pre-K (3 and 4 year olds), K-5 and Pre-Teen (6th and 7th grade) classes as well as a special needs ministry called Sonlight Journey. Your children will get to experience truths from God’s word through lesson related crafts and games as well as an upbeat and enjoyable worship experience. To see all Young Adults living in a Christ centered community. We exist to facilitate conversation, create a space and opportunity to develop relationships, and serve our local community, across our nation, and throughout the world through outreach.